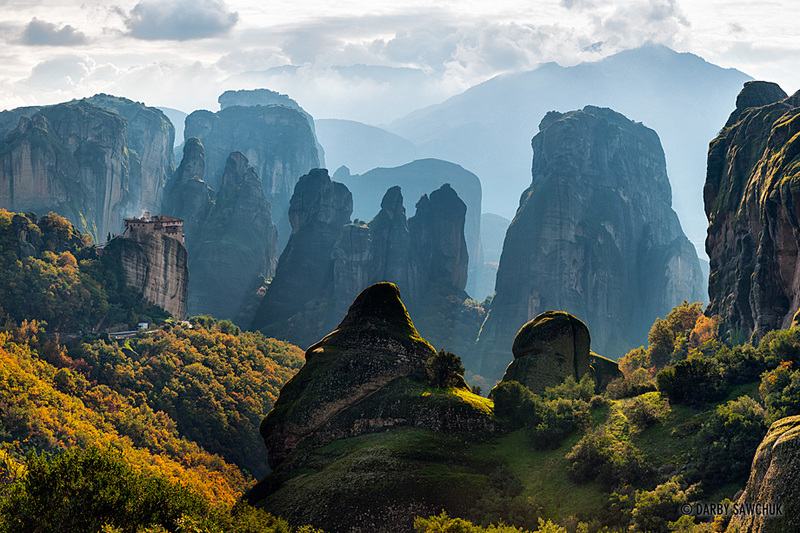 Cliff-top monasteries float magically over the clouds in the otherworldly landscape of Meteora, Greece. There was once 20 of these seemeingly-unreachable complexes perched upon sandstone pillars, but today only six remain. The monasteries were built in such precarious locations to function as safe havens from nearby conflict and were reached via removable ladders or ropes, nets, and baskets. Now, in friendlier times, visitors to this World Heritage site can use winding stairways hewn from the rocks to access the tranquil Greek Orthodox buildings. 01. 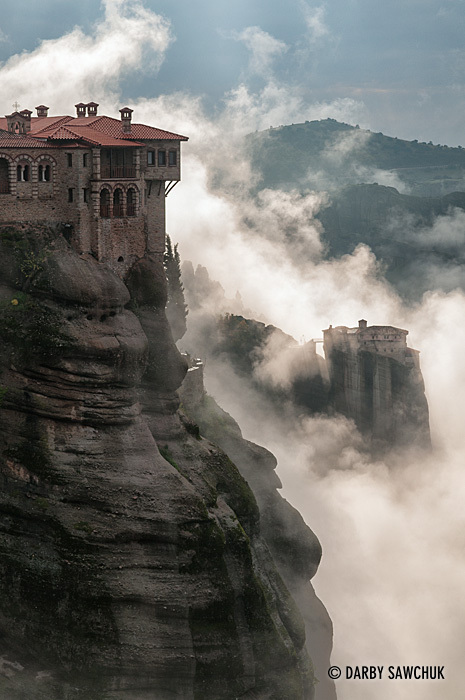 Clouds roll past the cliff-top Monastery of Rousanou in Meteora, Greece. 02. 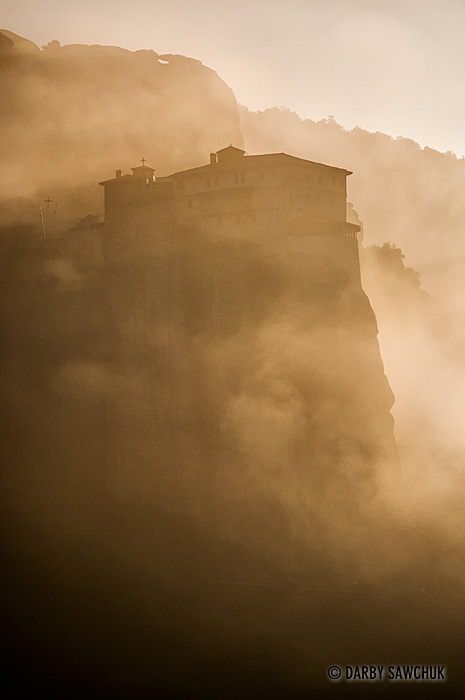 The Monastery of Rousanou is shrouded in mist and clouds at dawn in Meteora, Greece. 03. 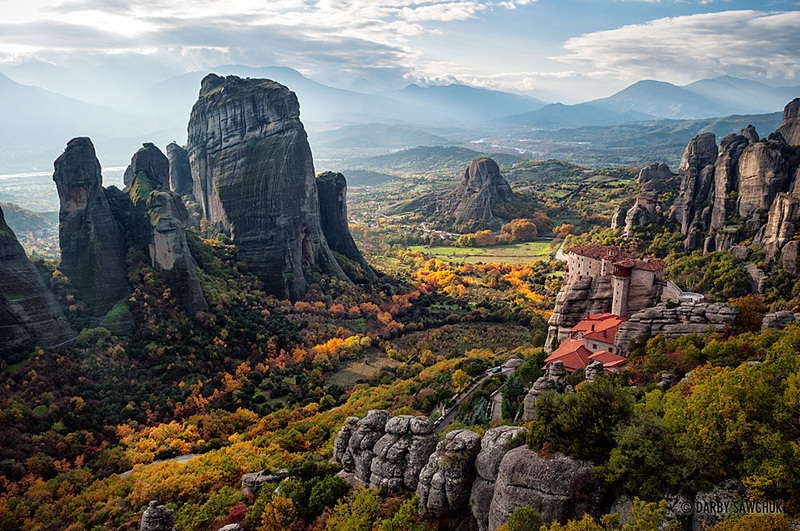 The Monastery of Rousanou looks out onto the enormous sandstone pillars of the Meteora area of Greece. 07. 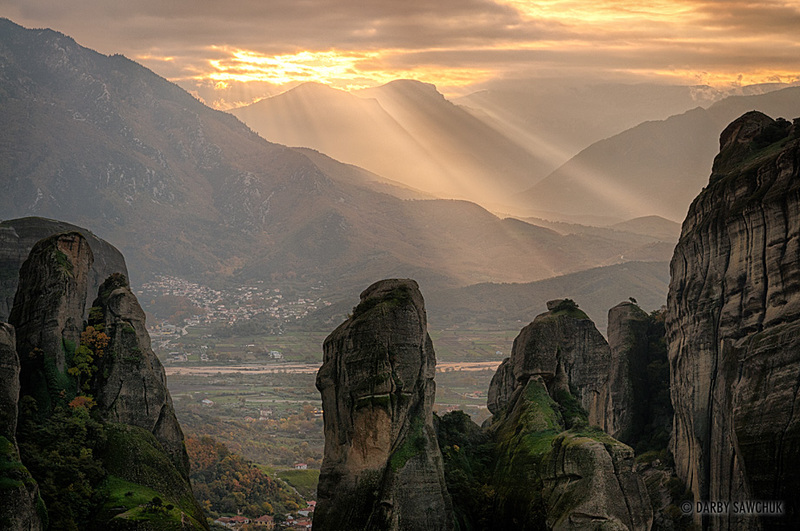 Sunbeams break through the clouds behind the sandstone pillars of Meteora, Greece. 08. The monasteries of Rousanou (right) and St. Nicholas Anapausas (left). 10. Clouds envelop the Monastery of Varlaam (left) and the Monastery of Rousanou (right). 12. 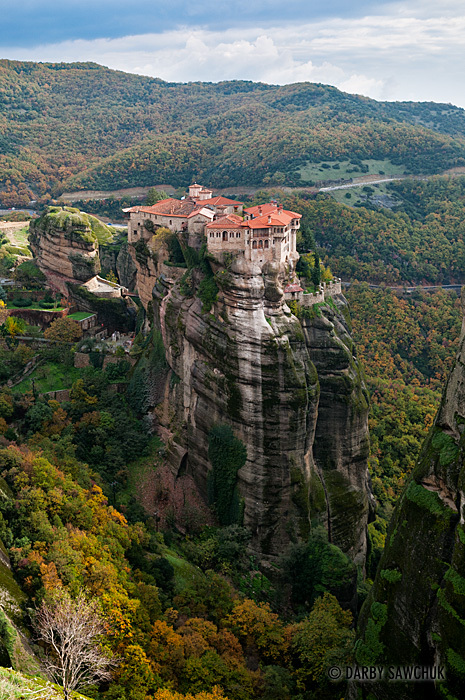 The Monastery of St. Nicholas Anapausas in Meteora, Greece. 14. The Monastery of Rousanou in Meteora, Greece. 16. 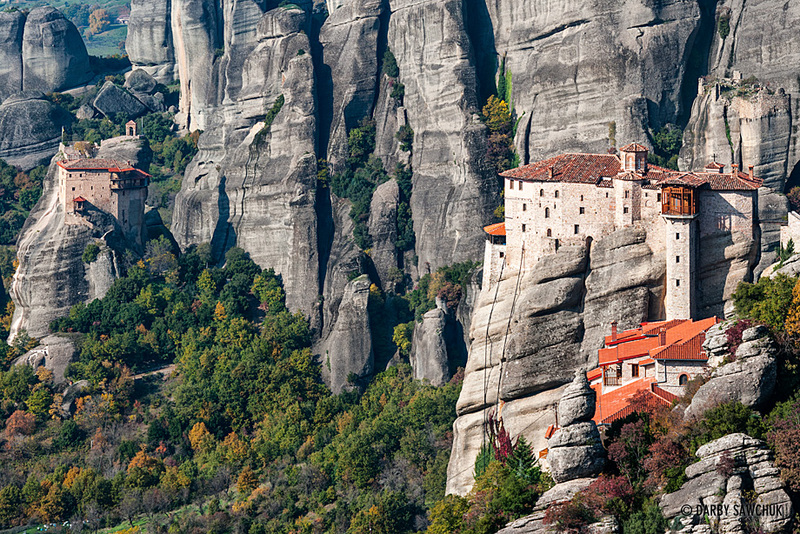 The Monastery of Rousanou looks out onto the enormous sandstone pillars of the Meteora area of Greece. 17. 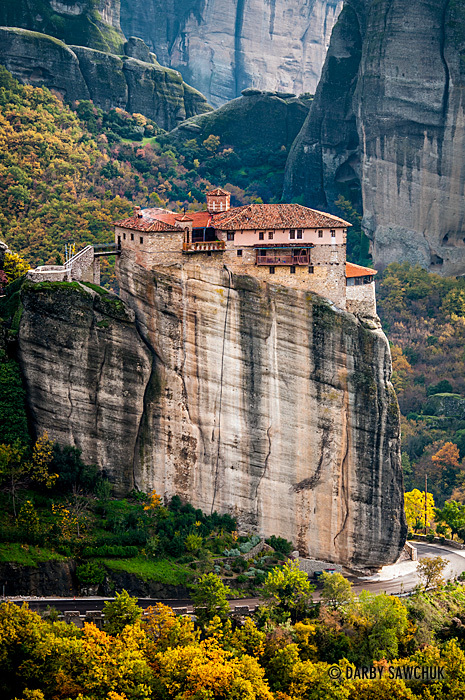 The Monastery of Varlaam in Meteora, Greece. 19. 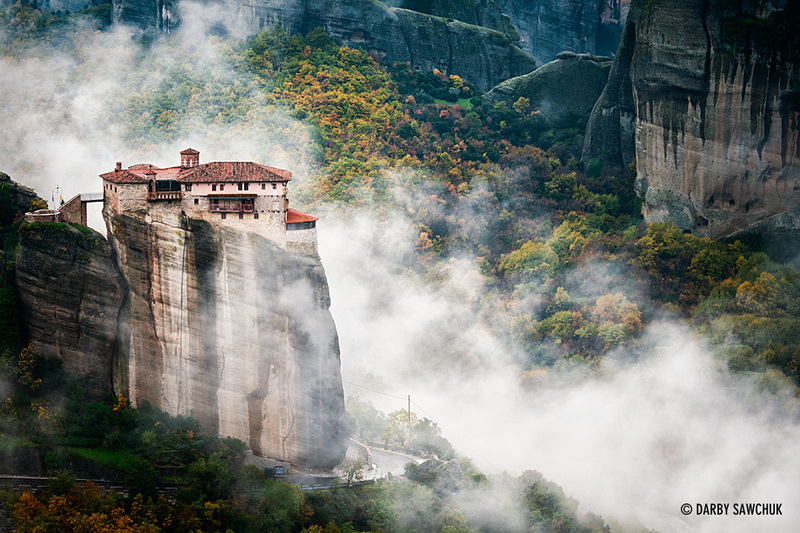 The Monastery of Rousanou in the clouds in Meteora, Greece. 20. 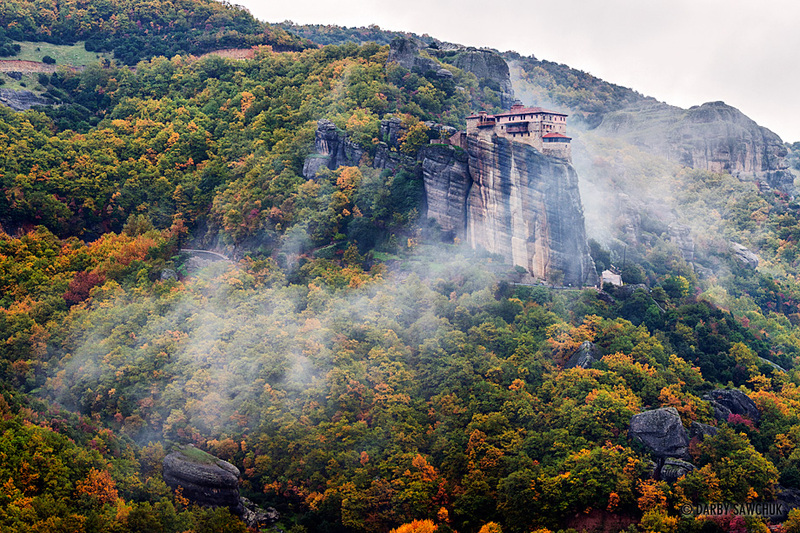 A panoramic photo of the Monastery of Varlaam above the clouds in Meteora, Greece. 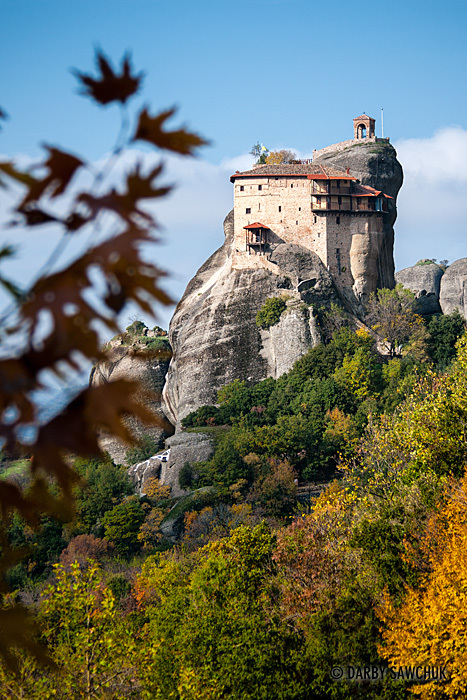 Keywords: photos of meteora, images of meteora, pictures of meteora, landscape photography, greece, travel photography, fine art prints, stock photography, greek, pilgrimage, kastraki, kalambaka, greek orthodox, plain of thessaly, central greece, unesco world heritage site. These photographs are amazing. What beauty!